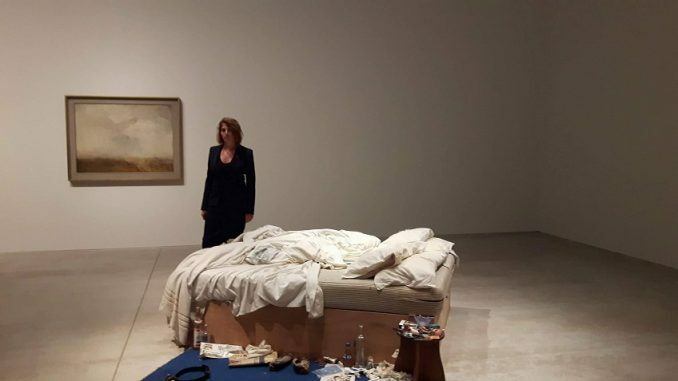 Artist Tracey Emin has confirmed she will move to Margate and open a studio by next July. Speaking at the launch of her My Bed installation at Turner Contemporary this morning Ms Emin said: “I have just bought a big studio here and I’m going to work here. The 54-year-old’s studio is understood to be with Carl Freedman at part of the former Thanet Press site. 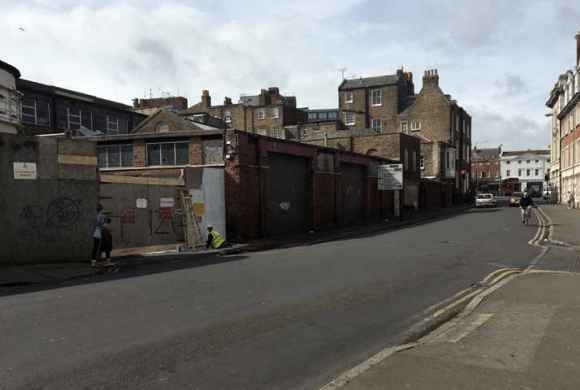 The space, which is the rear building at the Thanet Press site, will be opened as a second venue for London’s renowned Carl Freedman Gallery. The 1950s commercial building will also house Freedman’s print publishing business Counter Editions. The gallery will be open from 10am to 4pm and will create 6 jobs, 3 full-time and 3 part-time. The rest of the Thanet Press site is owned by Jonathan Viner. Mr Viner is a director of Union Crescent Property Limited, which paid £635,000 for the historic building last year. He is also director of Jonathan Viner Galleries and Margate natural skin and body care firm Haeckels. Further plans for that part of the building are expected to be revealed soon. 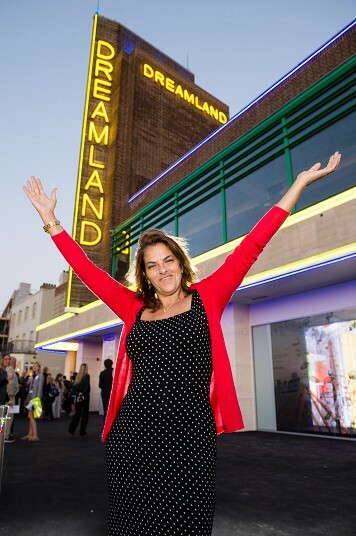 In May, at the switch on of the Dreamland neon sign, artist Ms Emin revealed she hoped to exhibit at the gallery. She also hinted at her move to east Kent. Today Ms Emin elaborated on that move which was prompted after losing a bid to expand her art studio in Spitalfields and the death of her mum Pam earlier this year. She said: “Margate has real energy and fantastic architecture, sunsets and seascapes and beaches. I think it has a really good chance of becoming a fantastic epicentre. London feels like it is completely crushing me. “In Margate Turner Contemporary has boosted the whole economy and where there were boarded up shops in the High Street there are now fantastic boutiques, vintage shops and interesting restaurants. “I do not want to wake up to London, I want to wake up and be inspired by the same things that inspired Turner. “People have asked me if moving will change my work. I think it will. My work used my childhood and that had bad memories. Now I will be here and creating good memories. 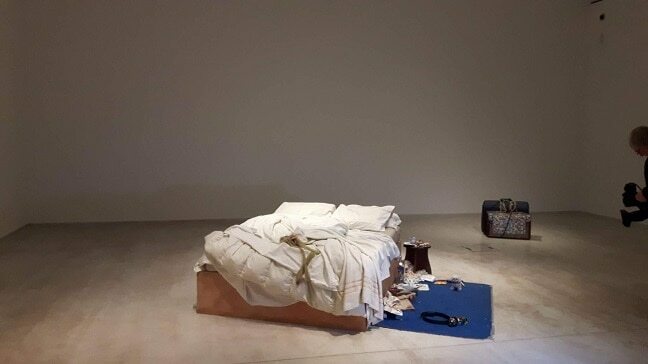 My Bed & JW Turner opens at Turner Contemporary tomorrow (October 13) and runs until January 14. Whatever your opinion of Emin and er work, she has been one of the Margate’s strongest ambassadors. At a time when no one was talking about Margate, she was getting us national attention. Also, complain as much as you like, but you don’t get a masters degree from the RCA without a lot of hard work. We live in Liverpool which has been transformed partly by tourism and its arts scene. Thanks to Tracey we’ve stayed and spent our hard-earned Northern cash in Margate and we’ll be visiting even more if Tracey has a permanent presence in the town. But watch out – when the artist regenerate an area the gangster capitalists are not far behind ready to turn studios into luxury flats pricing-out the locals. Keep It Real!